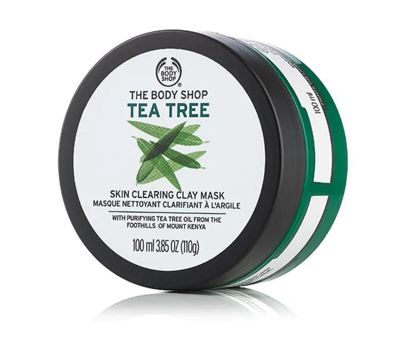 The Body Shop Tea Tree Skin Clearing Clay Mask removes impurities and absorbs excess oils. The mask soothes blemish prone skin leaving it clean, clam and refreshed without drying. Suitable to use once or twice a week after cleansing. To use, smooth the mask onto face and neck. Leave for five to ten minutes then rinse off. The body shop tea tree face mask gets rid of excess oil and removes skin impurities. It didn't dry out my skin but left it feeling very clean and soft. Its good to use this one or twice a week after cleansing. When using the mask apply to the face and neck. Leave on for five to ten minutes and then rinse off. The mask is a 100ml size also that has a lid that seals well. I love several of the Body Shop face masks and this is definitely one of my favourites. The mask is really smooth and easy to apply. I love the smell of tea tree and the way the mask feels so cooling on your skin- particularly great in summer! I find this mask comes off well with a soft face cloth, and my skin always feels soft and refreshed afterwards. I get frequent break outs on my face and even my neck, and feel like using this mask on a regular basis helps keep my pimples under control. Don't leave on for more than 10-15 minutes or it can dry out your skin. This is one of my favourites for when my face is particularly ridden with hormonal acne. I absolutely adore the smell of tea tree and appreciate it's benefits for the skin, and the effect that it has minimising pimples and pores. It also has a really nice cooling sensation created by the tea tree which I really like and find quite pleasant. The product does take a little longer to wash off then a regular mask but is well worth it. It's important not to lather this product on too thick, and to not leave it on any longer than the recommended time. Tea tree can be really drying on the skin when left using too much for too long and this product is no exception. It's also important to follow with a really good moisturiser! Otherwise your skin will want to produce more oil to hydrate itself in turn making your pimples worse! Ladies with blemishes, pores, blackheads ect. I adore this face mask. The Tea Tree Oil that it contains has great antibacterial properties which is fantastic for blemished and acne-prone skin. Once a week I use this mask, just in my T-zone, to help pull out any impurities and dirt. Sometimes you can find that, after using a mask that draws impurities, you can get a small breakout because everything has risen to the surface. But, trust me, it is no where near as bad as it was going to be. I also use this mask as a spot treatment. If I get a blemish that comes up and is particularly nasty, I put a small amount of the mask on it and leave it on overnight. The mask draws out all the nasty stuff in the blemish and dries out the one pore basically overnight. Don't use this mask too often as a full face mask. It can definitely be drying, so just once a week is plenty. Oily and blemish prone skin. This face mask has a really really strong tea tree smell, which you would expect because it is a tea tree mask. It feels like mask is working really well and my skin was left clean, but I it did not reduce my pimples or pores. It shouldn't be left on the face for more that 15 minutes, because you really have to scrub it off if left on longer. Helps my skin feel fresh! I remember getting a jar of this mask back in high school. I was suffering from breakouts and needed something to balance out my skin and I thought this would be the answer. The mask comes in a mint green jar with a screw on lid. The mask is a solid in the jar but you can pick a bit up with a spatula. The mask is minty green in colour with a tea tree oil scent. I apply a think layer to my skin and let it sit for 5-10 minutes. It dries quickly and soaks up oil from my t zone. When rinsed off, my skin looks smooth and glowy. I saw a temporary reduction in oil around my t zone. Its great to pop on before an event to balance the oils but the effects don't last more than a day or two. This product is drying if you skin is already dry... but I would definitely recommend for oily skin people. My skin is very acne prone so this was great for it, when you first put it on skin tingles.. the smell of the tea tree oil is so very refreshing, great for summer. If there is one negative thing about this product is that it is pretty hard to get off you face once it has set. Other from that make face looks bright and refreshed after using this. I recommend! Use a warm soaked cloth to wash of the mask. To be fair, this is probably my fault because I don't think I ever realised HOW dry my skin is, but I found that this mask was really drying. I bought it because I had some acne that I wanted to address, but after using it my skin did not look happy. I haven't really used it much after that because I've been too wary to, so I can't really give a full review. My husband and I had fun applying this on our honeymoon! I'm a massive fan of it (due to hormonal acne) and find it really freshens up my skin, while toning down redness. My hubby being a tradie with tradie skin, I was't sure what to expect, but it made a real difference in his skin softness and clarity. He really enjoys it, and will sometimes suggest doing a face mask if he comes home from a particular grimy, sweaty day. I love how you can feel it working, without the 'deep cleanse' discomfort that harsher masks might give. I only use it occasionally, but it's a staple that I alway keep on hand - despite making some very effective masks myself! Recently, I have started trying out face masks available over the counter. As I am truly fond of The Body Shop products, I have used their Tea Tree Oil Face Mask. This face mask is available in a container (100 ml) and sachet pack (6 ml), so I don't want to invest in the container without giving a try. Therefore, I have purchased a sachet and the provided quantity can be used twice easily (if kept safely). I like to keep it in a fridge after opening the sachet. A green tinted, creamy clay mask that gives a minty/tea tree tingle to the skin once applied. I left this mask on for 15-20 minutes. It does not dry hard and crusty like other clay masks, so this one was easy to remove and did not dry out my skin. I did not notice tremendous improvement or change in my skin after using this. Though the skin feels soft and fresh. I have only recently bought this product and I don't know how I was living without it. My skin is usually very acne prone and sensitive - so natural products are my go to. After only 2 uses, I can already see the difference! My face is clearing up and it is less oily then usual. The tub it comes in makes it easy to use and ensure no waste. For those who haven't used tea tree oil, the smell might be a bit strong but it's not unpleasant. Your face also gets to be an awesome green colour for 15-20mins. When I apply it, I find that it warms up my face a bit but after a couple of minutes it becomes really cooling and relaxing. Also, the tub said that it doesn't dry but both times I've used it, it has. I would recommend this to anyone who gets a cluster of hormonal acne as it really helps to clear it. Make sure to cleanse your face before use. I use this product weekly as I know that Tea Tree Oil products can be harsh on your skin. I love the feeling of this product when it's on because it's super freshening and smells nice.  This product dries nicely and when I wash it off, I can feel that my skin is super soft and clear. I'm not a fan of the face cleanser, but I love the mask! it was great to use when I had problematic skin once a week for a deep clean. My skin felt fresh and clean afterwards. Very cool feeling, can be kept in the fridge just for that added coolness on the skin. Apply a medium layer on the skin and leave it for a good 15 minutes. Problem skins or skin that just needs a pick me up! I had never done a mask at home before. I have now been using this mask for about 3 months and my skin as definitely improved. It is smoother and less blemishes. The tea tree smell is strong but I think it is lovely and really adds to the relaxation aspect. It is wonderfully thick to apply and feels like an expensive treatment! It does take a little longer to wash off but it is so worth it. I have been using this mask for about a year now so i can confidently say its fantastic! I have combination- oily skin and it leaves my skin feeling fresh and clean and looking bright without at all making my skin dry! Its a fantastic mask to use during summer if you want your skin to feel fresh after a hot day. If i had to say one negative thing it would be that its a bit of a pain to wash of and takes some effort. But considering i have been using it for so long you can tell that doesn't bother me!